This news has gutted me. I try to take the changing face of London in stride. London is an ever-changing city that has never existed in a static state. But this one hurts. 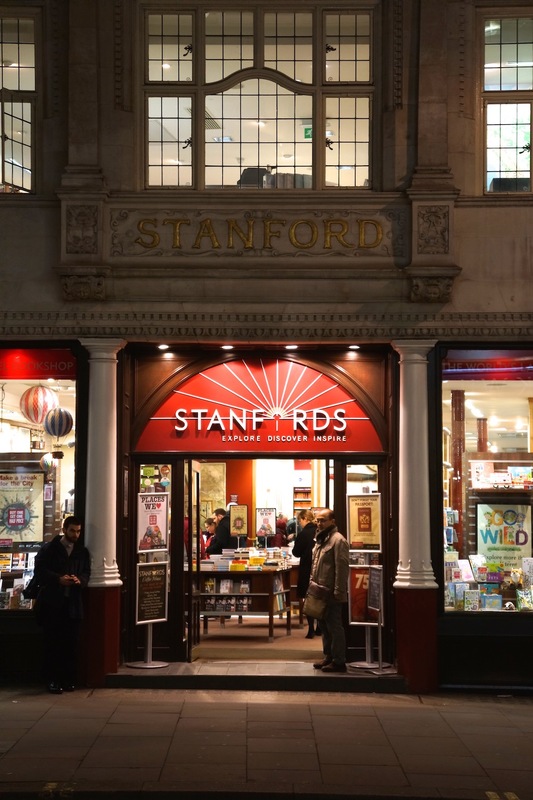 Stanfords, the iconic travel bookstore, has been based in their Long Acre Street location since 1901. Famed for their selection of maps, explorers and adventurers throughout history have bought their maps here. They’re moving from their iconic location on Long Acre, to a new location just down the street. I remember the first time I visited Stanfords, in 2004, it was a wonderland. I love maps and here you can find any map that exists. If they don’t have it, it doesn’t exist! Their selection of travel books simply cannot be equaled anywhere else. I remember asking for help to find the best road atlas back in 2009, this was before we had a smartphone with GPS and we were driving in the UK for the first time. We needed an atlas to get to Dorset from London. I found the perfect GB road atlas, which I still have and have used to plan all our driving trips. 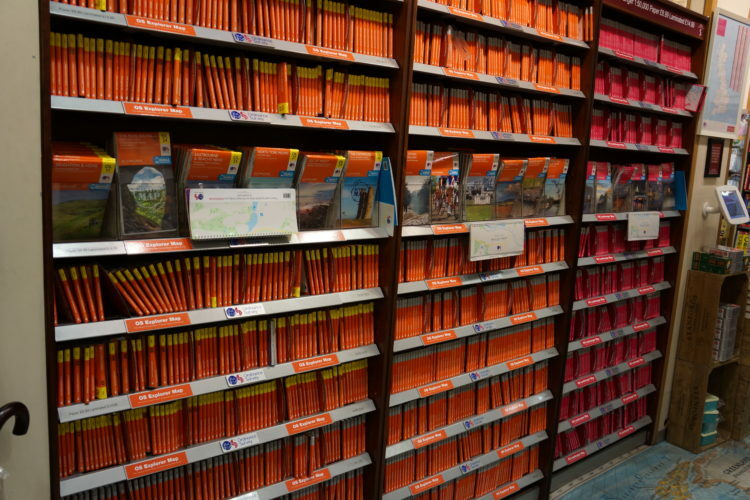 I’ve bought most of my beloved Ordnance Survey maps from them. I visit Stanfords on almost every trip I make to London. And I’m gutted that I didn’t when we were there a few weeks ago, the first time I didn’t visit in a long time. It’ll be there next time, I thought. Stanfords is moving to their new store in January 2019. I won’t be in Britain again until February. I will just miss it. I won’t get to say goodbye. At least the store is not closing. But they’re moving to a new location, not far away, in a brand new building. It won’t have the cramped and Late-Victorian character of the current store. It will feel just a little more soulless. With the recent news that Foyle’s has been bought out by Waterstones, I fear that all the best London bookstores are soon going to be exactly the same. Stanfords says they’re moving to improve the back office so they can support their growing online business. The new store will have an outdoor space, and a large stockroom to allow the online side of the business to expand. They have been in their current location for 117 years! When announcing the news, Vivien Godfrey, Chairman and Chief Executive of Stanfords, said: “This exciting move is all about ‘right sizing’. 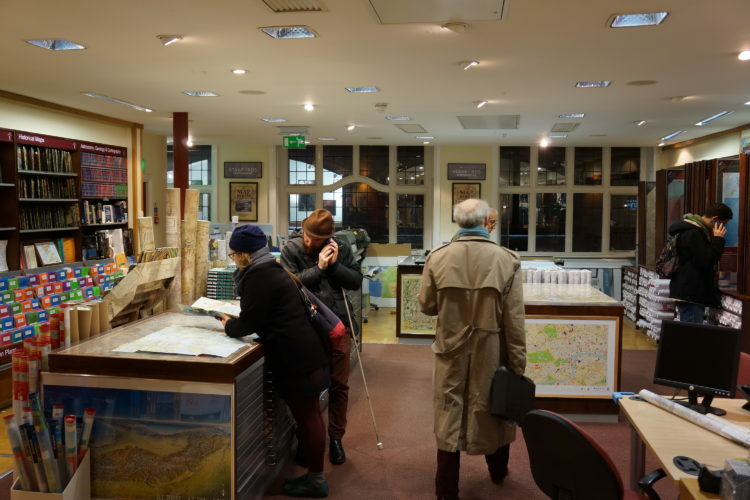 Our in-store business remains very important but we have had rapid growth of our online business and need a better distribution of space between office and store.” This fails to understand the heritage behind the store. People shopped online knowing it came from this specific place. Now the place is going. If it’s just another online bookstore, why not just order from Amazon? So much history will be swept away. Because that’s what is going to happen. I’ve seen it elsewhere on Long Acre. I suspect the real reason Stanfords is moving is because they were offered a large sum of money for their current, prime location. I can’t wait for there to be another Burberry or Ralph Lauren store in its place! Just what London needs! When Foyle’s moved to their new location a few years ago – guess what happened to the old, iconic building? It was torn down. If I sound a bit bitter about it, it’s because I am. Here are a few pictures I took last year. I love Stanfords. I’m going to miss it. I’ll go to the new location on Mercer Walk. But it won’t be the same. It won’t have that same atmosphere and connection to history.